Ed. note: The expansion of protections for individuals in Florida came too late for a retired cop who shot and killed another man in a Florida movie theater. And it’s interesting to look at what the original legislation produced, as far as rates of justifiable homicides and homicide numbers in general. Gun-related homicides are up 31.6 percent since the stand your ground law was enacted in 2005. Florida, which spearheaded the country’s use of the Stand Your Ground defense, is poised to significantly alter its self-defense laws, making it easier for defendants to use them. The furor surrounding the shooting brought renewed attention to Florida’s far-reaching self-defense laws and cast a light on several notorious Stand Your Ground claims. In one 2012 case, a Miami man spotted a thief stealing his car radio. After the thief tried to strike him with a bag full of stereos, the man chased him down the street and stabbed him to death. He hid the knife and later sold a few stereos from the bag. 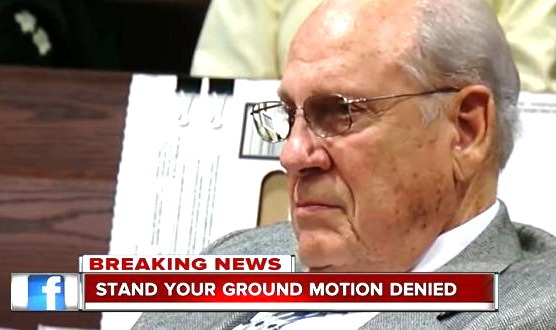 The defendant’s case was dismissed by a judge after a Stand Your Ground hearing.